Welcome to 44 Kilmacud Park. The property comprises a fine three bedroom semi-detached family home. Accommodation is spacious on both levels and extends to approximately 95 sqm. On the ground floor a living room to the front boasts an open fire, perfect for cosy winters evenings, while to the rear lies the kitchen and dining room. On the first floor two large double bedrooms, a good sized single, bathroom and separate toilet complete the accommodation. The discerning purchaser will be able to see the enormous potential this home has to offer including (subject to planning permission) extending to the rear. Outside to the rear there is a large south facing garden which is mostly in lawn. It is surrounded by mature trees and shrubbery which offer excellent privacy without interrupting the all-day sunshine it receives. To the front there is off street parking for two cars as well as ample on street parking. The location could not be more convenient. 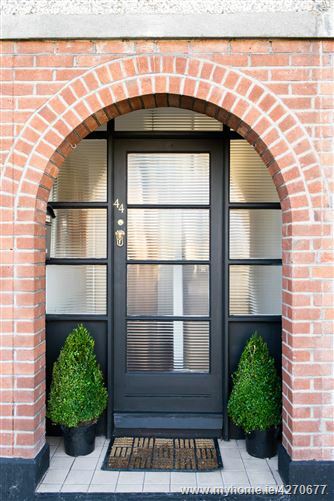 Situated only minutes walk from Stillorgan Village and a host of amenities. Dundrum town Centre is also only approximately 3km away. For those who require access to public transport the Luas is a short walk as is the QBC & Aircoach and M50. Top schools are also walking distance including St Laurence's Boys Nation School, St. Raphaela's Girls National & Secondary Schools, Mount Anville Girls National School, Scoil San Treasa, Oatlands Boys Montessori, National & Secondary Schools and St Benildus College. Viewing of this excellent property is highly recommended. Built in kitchen with wall and base units, island unit. Access to garden. Feature fireplace, original wood flooring access to garden. To front, feature open fireplace, original wood flooring. Bath with shower fixture, sink, part tiled walls. Toilet and sink, tiled flooring. Spacious double bedroom to rear. Large double bedroom to front. Small double or large single bedroom to front. •	C. 95 sqm / 1,023 sq.ft.